The poor old Wii U doesn’t get a lot of love. While the Xbox One and the PS4 have been selling by the bucketload, the Wii U has been…well, largely ignored. That could be about to change, however. 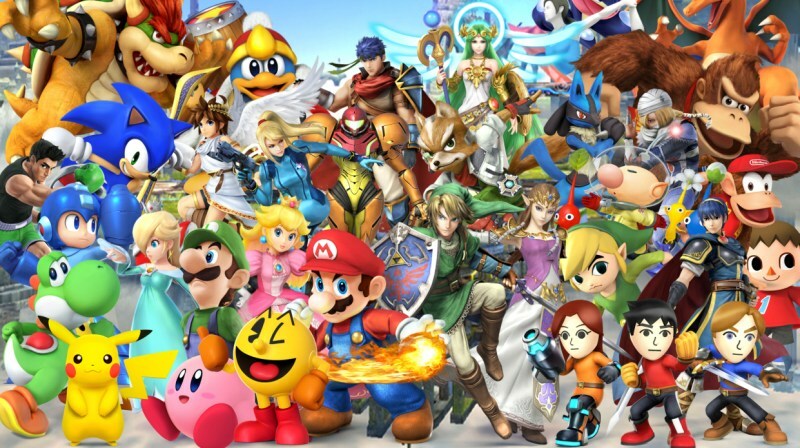 Super Smash Bros, a game in which Nintendo’s best characters beat each other up in all kinds of colourful arenas, comes out in a couple of months (December 3rd, to be exact – although you can play the 3DS version right now) and it looks so good that we’re half tempted to go out and buy a Wii U for ourselves. Bayonetta 2 is released on Wii U at the end of this month and it promises to be amazing. The first game is widely considered to be one of the best games ever, combining the fast-paced combat of Devil May Cry with a unique visual style and plot. But hang on: wasn’t Bayonetta released on Xbox 360 and PS3? Well, yes it was. But Bayonetta 2 is a Wii U exclusive, and looks set to stay that way too. Forget your standard plastic-and-buttons controllers: Wii U comes with its very own mini tablet! The GamePad is like a standard controller with a touchscreen in the middle, which you can use as a second screen to view maps, manage inventories or even get an alternate angle on action. Best of all, though, you can stream games from your Wii U to the GamePad, meaning that you can play even if someone else is watching the TV. You don’t even need to be in the same room as your console. The Wii U Virtual Console lets you play hundreds of classic games from across Nintendo’s many franchises and consoles. Top games include The Legend of Zelda, Castlevania and Metroid. It’s not quite as expansive as the Wii’s Virtual Console yet, but there’s plenty to keep you entertained for the time being. While the Wii U doesn’t have the likes of FIFA or Destiny, it does have Mario Kart 8, The Legend of Zelda: The Wind Waker and Pikmin 3 – all of which are well worth playing. Here are a few of the titles confirmed for the Wii U over the next couple of months: The Legend of Zelda, Dragon Quest X, Splatoon, Mario Party 10, Kirby and the Rainbow Curse and, of course, Super Smash Bros. Sounds good to us! The Wii U is well worth a go if you’re tired of first person shooters and sports games – you could always sell your Xbox One or PS4 if you’re thinking of making the trade!